Used in internal walls and ceilings, Resilmount A48R is an excellent product that will absorb and dissipate airborne vibrations and structure borne vibrations. This product is especially designed to brace an acoustic wall to the structure without compromising sound and vibration transmission requirements. Resilmount's range of resilient mounts suit standard furring channels and top cross rails for effective noise control resulting in ease of construction for contractors who only have to replace standard direct fixing clips with Resilmount's resilient mount clips. Decoupling the partitions from the framing using resilient mount clips is the most effective acoustic control system available. 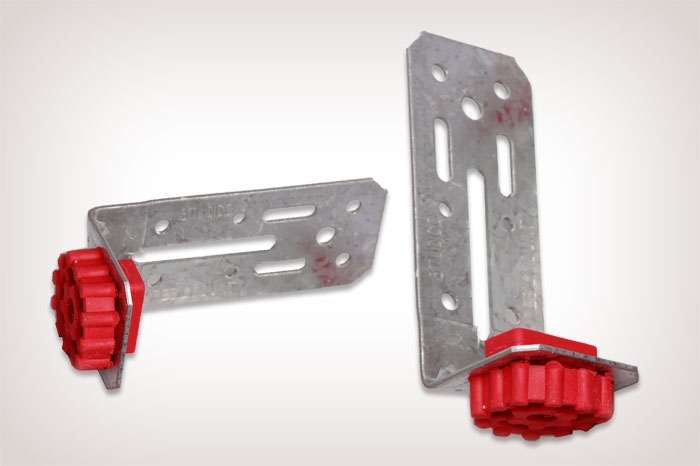 With many innovative designs Resilmount Clips can accommodate a variety of construction challenges. Multi-family housing, mixed-use commercial, studios and home theaters are just a few projects for Resilmount clips. Soundproofing Los Angeles can reduce the noise that travels through floors to the room below with a range of pads and underlays. Our custom solutions effectively work with all floor and sub-floor types. Prevent footsteps, and airborne noise from reaching the floor below by utilizing our tested and proven methods. There is a wide variety of ways to soundproof walls. Fortunately Soundproofing Los Angeles can help you find the treatment that is best for your situation. From soundproofing barriers, to mechanical isolation, to sound dissipation, Soundproofing Los Angeles is expert in helping you to apply all these techniques individually or in combination. Preventing sound from traveling through the ceiling is a common issue. Soundproofing Los Angeles can help to solve this problem whether there are footsteps leaking through the ceiling, or airborne noise breaking the silence. We carry a full line of solutions for soundproofing ceilings to give you additional peace of mind. Copyright Soundproofing Los Angeles. All Rights Reserved.